Fisheries management decisions are political so our dedicated team of experts has carefully crafted five policy recommendations that promote productive fisheries and a healthy marine environment. We have sent these recommendations to political parties so they can adopt them in their fisheries policies. Then we will give them points out of 20 for each of the recommendations they adopt. 100 points is king! We want you to be able to see which parties have fisher-friendly policies, so you can make an informed choice come the September 20th election. In brief, the five recommendations are: 1. Reduce wastage. Remove trawling that cannot demonstrate compliance with reasonable selectivity standards and minimal seabed contact, within the 100m contour. 2. Ownership of our fish stocks remains in public hands. 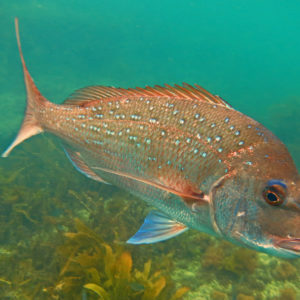 Management of recreational fishing remains outside of the quota management system. 3. Manage for abundance. Adopt an ecosystem approach to managing fish stocks, so they rebuild and thrive in a productive, diverse and abundant marine environment. 4. Equal size limits. Standardise commercial and non-commercial minimum sizes for all fish stocks. Default is to increase the minimum size to the highest current limit. 5. Economic valuation. Commit to resourcing full and independent research to establish the economic value of recreational fishing. We welcome your feedback on these recommendations. Be on the look out for our campaign launch in early August – We will be calling on your support to let the parties know how important fish are to us, the public of New Zealand.